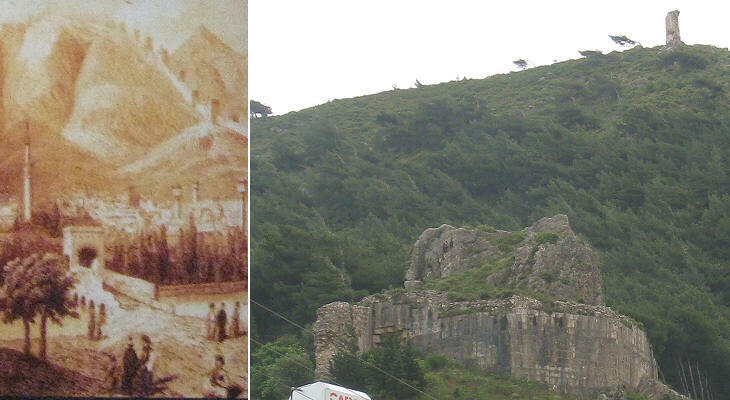 Mount Amanus (today Nur Daglari - mountain of light) is a range which blocks the passage along the coast from Cilicia to Antioch and Syria (maximum elevation 7,350 ft). 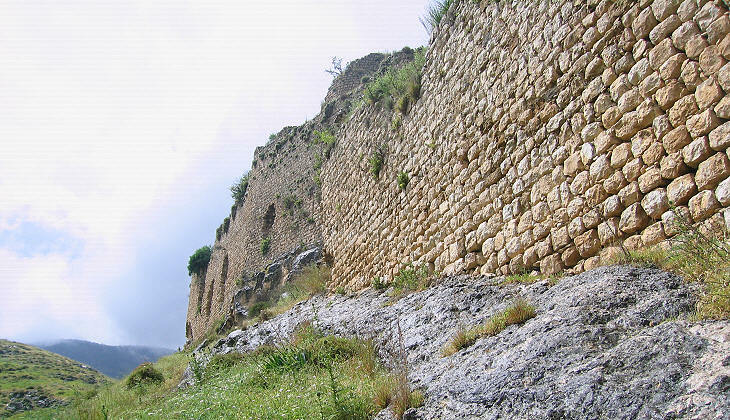 King Seleucus, a general of Alexander the Great and the founder of Antioch, built a fortress near the southern end of the Syrian Gates, the only pass which crossed the range; Strabo names the fortress as Pagrae, today known as Bakras Kalesi (Castle of Bakras). Today the modern road which crosses the range rapidly enters the valley of the Orontes River and Bakras Kalesi does not appear as a key strategic location where the advance of an enemy could be easily blocked; however while today the plain is very well farmed, in the past it was a marshland surrounding the former Lake of Antioch which was completely drained only by the 1970s; the road to Antioch was much closer to the castle. 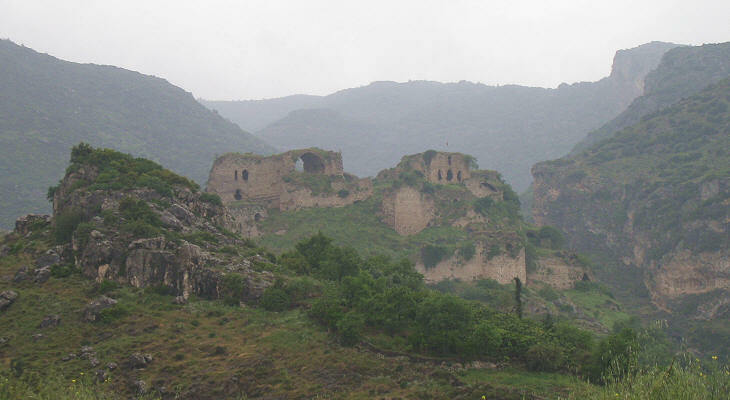 The medieval castle was called Gaston, most likely a corruption from Greek kastron; it is located at the top of an isolated hill which can be approached only from its western side; a short aqueduct provided it with water from a spring in the nearby mountains. In 1137 Byzantine Emperor John II Komnenos reoccupied Cilicia and laid siege to Antioch, which later he did not seize, but Prince Raymond of Antioch had to acknowledge imperial rights on his territories. 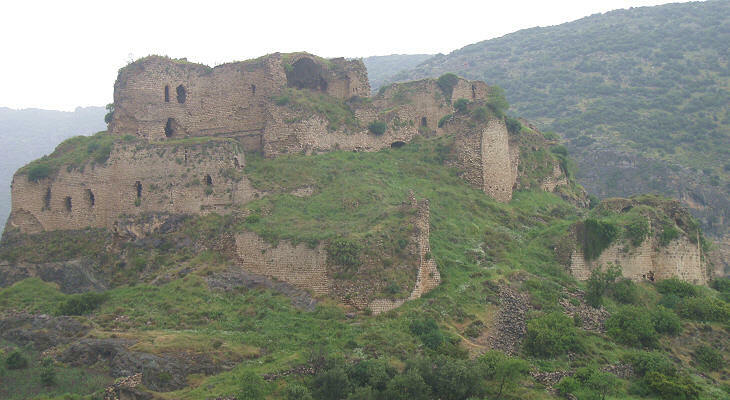 The medieval castle was built in 1153 by the Templar Knights, a military order which supported the effort of the Crusades, to protect the Principality of Antioch from a new Byzantine attack. In 1187 Saladin, the Muslim ruler of most of Syria and parts of today's Turkey and Iraq, captured Jerusalem; he then moved against the Principality of Antioch, where he could rely on a spy very close to Prince Bohemond III: his wife Sybille de Burzey. 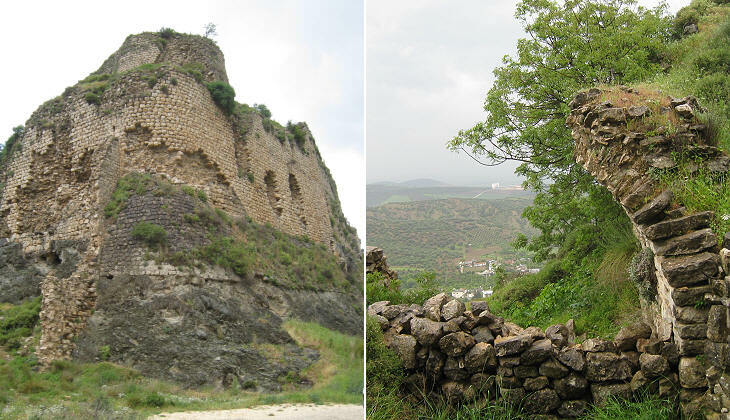 Saladin did not eventually conquer Antioch, but in 1188 he seized Gaston; in 1190 however the Muslims left the castle after having destroyed it. Gaston was rebuilt by Leo I, King of Lesser Armenia; the masonry of Gaston is similar to that of Sis, the fortress, where Leo set his court. The Armenians held Gaston until 1216 when they returned it to the Templar Knights; they did so only because a nephew of Leo had become the Prince of Antioch. The conflicts between the Principality of Antioch and the Kingdom of Lesser Armenia started again in the following years and lasted until 1254 when Prince Bohemond VI married a daughter of the Armenian king. A new threat however soon materialized; in the war between Mongols and Mamelukes, the Christian states sided with the former; in 1260 the Mongols and their Christian allies were defeated at Ain Dlalout, south of Acre. Baibars, the Mameluke general who won the battle became Sultan of Egypt and Syria and waged war on the Christian States with the objective of completely eradicating them from the Levant. In 1268 Baibars besieged Antioch and in a relatively short time he captured the city; he had promised to spare its inhabitants (mainly Greeks) but instead he killed or enslaved the whole population and razed the city to the ground; he then wrote a letter to Prince Bohemond VI, who was away from Antioch at Tripoli, in which he detailed the slaughter he had carried out at Antioch. 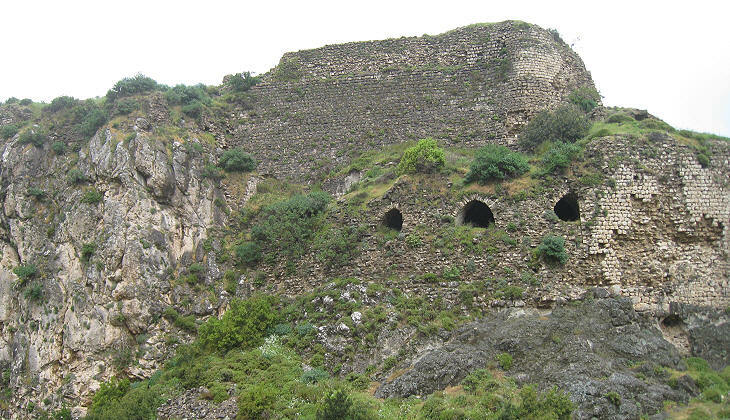 When the news of the fall of Antioch reached Gaston, the Templars abandoned the castle after having set fire to it. 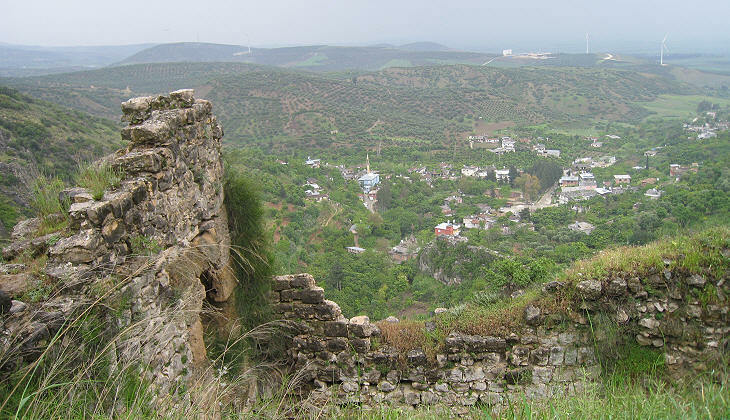 With the conquest of the whole of Syria by the Ottomans in the early XVIth century Gaston lost its military relevance.